Having youthful energy come in and say, ‘Oh you could do this, or you could do that’ was wonderful and energizing for us. 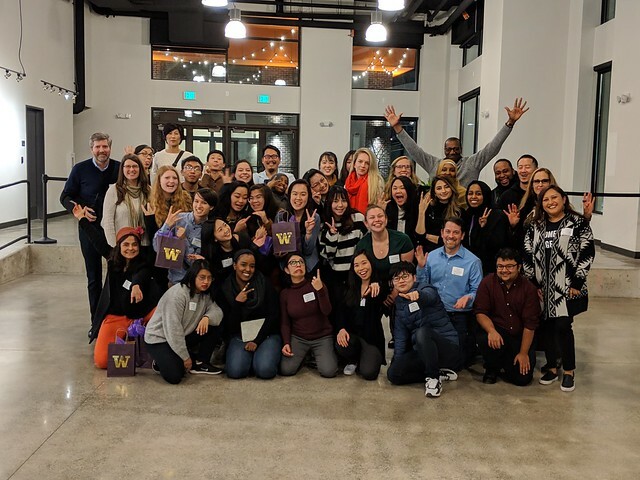 Teams of students partnered with community organizations in Seattle’s Othello neighborhood during the intensive and energetic 3-day event. Their challenge: to create an equitable, sustainable, partnership-based innovation that advances the mission of the partner organization, meets the needs of learners in the community and makes use of the Othello UW-Commons space and presence. Partner community organizations included the Somali Family Safety Task Force, Tiny Tots Development Center and Mercy Housing Northwest. Dean Mia Tuan, during the kick-off of Ideathon, shared the importance of working with the Othello community and the need to be collaborative and present in the communities UW serves. After a kick-off meeting with the teams and their coaches, students spent the next 48 hours gathering information from their partner organizations and designing their ideas for final presentations on Feb. 23 (watch the final presentations on YouTube). 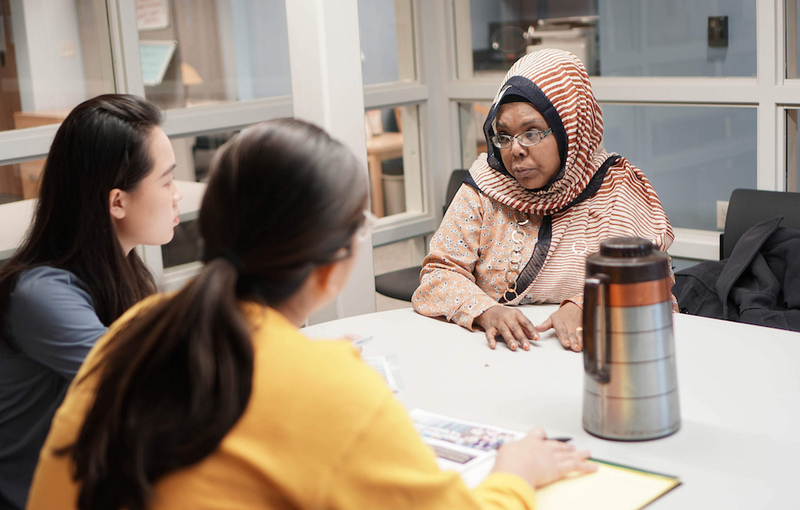 Senior Andrew Hu, a member of the team partnered with the Somali Family Task Force, noted that Ideathon provided an opportunity to challenge his assumptions. Doctoral student and coach Kelsie Fowler emphasized the importance of experiences like Ideathon that are community-centered and help localize ideas that students are learning in the classroom. The architect for Tiny Tots Othello Child Care Development Center, Donna Brown, said it was exciting to work with students and hear their insights during the event. Ideathon concluded with each team presenting their innovation to a panel of five judges. Winning the grand prize and $4,000 for their partner organization to implement their idea was the team Inclusive Diverse Equitable Alliance (IDEA) which worked with the Somali Family Safety Task Force. Team members were undergraduates Alissa Davis Beinstein, Angela Cheng, Andrew Hu, Eya Lazaro and Heather Yackel, coached by doctoral student Roxana Chiappa. The team proposed creating a digital media workshop/center called “Intersectional Voices” that would serve as a platform to connect the Somali community, UW academic departments and Othello UW-Commons. The main objectives would be to enhance and strengthen the digital media skills of Somali girls in order to amplify the voices of young women in the Somali community, bring resources and expertise from various UW departments, and to make Othello UW-Commons a hub of digital resources for grassroot organizations in the Othello neighborhood. Chiappa looks forward to seeing more UW undergraduates participate in Ideathon in the future. This year’s judges included Jondou Chen, senior lecturer at UW College of Education; James Hong, executive director, Vietnamese Friendship Association; Sarah Buhayar, deputy director, Bill & Melinda Gates Foundation; Sunny Ysa, administrative assistant, Othello UW-Commons; and T. J. McGill, managing partner, Evergreen Pacific Partners.